Here are the main points of the lesson: Each of the Three Worlds promoted principles, but in the late 1960s and 1970s, US and Soviet practices undermined their appeal. Racism inside the US undercut US moral authority and its claim to be the leader of the “free world.” The Soviet Union was embarrassed by having to use force to keep the Czechoslovaks and others aligned with Soviet communism. In China, Mao Zedong broke away from the Soviet Union, and tried to establish his version of communism as a model for Third World revolution. At the same time, the actions of the superpowers created external realities that undermined the efforts of Third World nations to follow a third way. When Chile’s President Allende tried to institute socialist reforms, opposition from the US and multinational corporations undermined his regime, and assisted the victory of a military dictator, Pinochet, and a repressive government. Students will analyze speeches, posters, videos, and newspaper articles, paying special attention to multiple points of views and the role of media in the Cold War. The lesson models research and reporting on international crises of the 1960s and 1970s, and concludes with a research project. The activity I’ve attached addresses the relationship between racial struggles within the US and its claim to international leadership: CW3.2 US Racism Activity The activity is designed to help students see the connection between the internal Civil Rights movement, decolonization in the Third World, and the Cold War. It also helps them practice identifying point of view or perspective from documents (Common Core Standard RH6). There are primary sources from John F. Kennedy, Martin Luther King, Jr. and Mao Zedong. In the activity, students read one of the sources in a small group, complete the literacy activity and answer the analysis questions at the end. Groups then share their answers with the whole class. This is a draft, so your comments and feedback are very welcome! Tell me how to improve this activity. 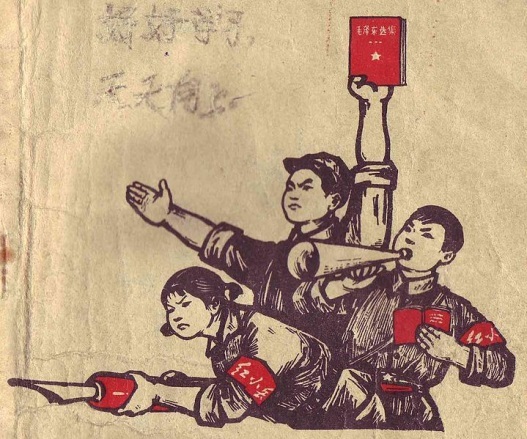 Photograph of 1971 elementary school textbook cover from Guangxi, taken by Villa Guilia and released to public domain. Wikipedia. http://en.wikipedia.org/wiki/File:Red_Guards.jpg. 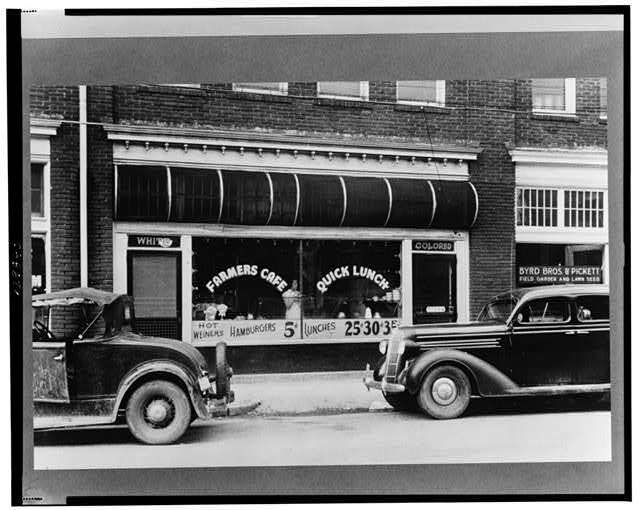 “A café near the tobacco market, Durham, North Carolina, 1940,” taken by Jack Delano for the U.S. Farm Security Administration/Office of War Information. Library of Congress, no. LC-USF33-020513-M2, http://www.loc.gov/pictures/item/fsa1998006213/PP/.